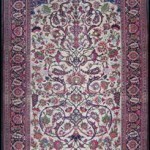 Persian House International – Persian rugs The finest Persian rugs are made from silk and are the most expensive of all Oriental carpets. Most examples you’ll come across date from the 19th and 20th centuries and may be either tribal village pieces, or town-made factory pieces. 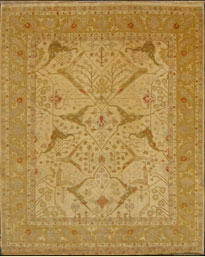 Kilims Unlike any other types of carpets, kilims are flat-woven and have no knots and no pile. 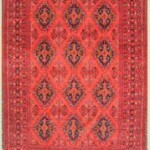 The many modern reproduction kilims are identifiable by their bright colours and coarse weave. 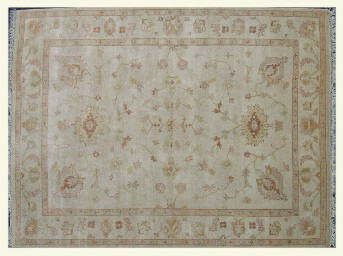 Rugs Broadly speaking, rugs and carpets fall into two main groups: serious collectors’ rugs, and decorative rugs. 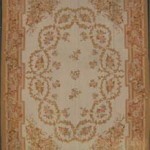 Older rugs (over 100 years old) are mainly of interest to the specialist collector. 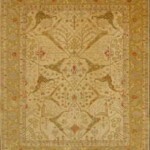 Recently made rugs and carpets are chiefly of interest to the decorative buyer. 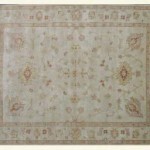 Most rugs are categorised by their place of origin or the tribe which made them. To be able to identify the difference between, say, a Kazak and a Kuba, you need to familiarise yourself with the various distinctive colours, patterns, motifs and weaves characteristic of each type. 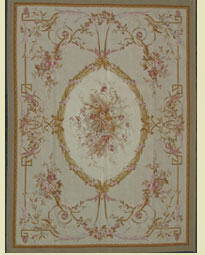 Collectable rugs should be handmade. 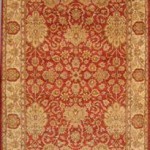 The size, richness of the colours, fineness of the knots, intricacy of design and condition are all important when valuing an antique rug. 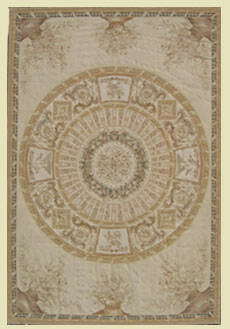 Collectable rugs should be handmade. 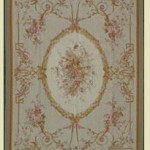 To check, look on the reverse – you should be able to see the design on the back as well as on the front. Next, part the pile and look at the knots. 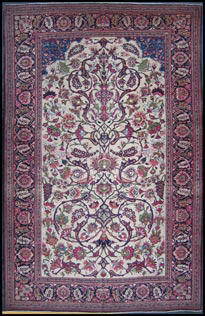 If there are loops rather than knots this indicates a machine-made rug of very little interest to collectors. 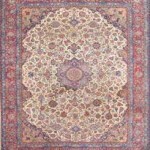 Many types of antique rug cost little more than modern replicas. 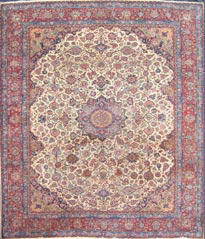 Materials The foundation material of a rug (the warp and weft) is usually wool, cotton or (rarely) silk. The best quality wool is fine, soft and shiny. Inferior quality wool is coarse and lacks lustre. 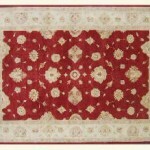 Colours Colour is one of the most important factors in assessing old rugs. 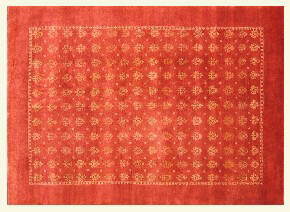 The best colours are those made from natural vegetable and insect dyes. Natural dyes. 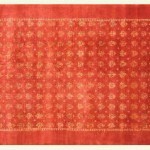 Blues and reds predominate in most old rugs. 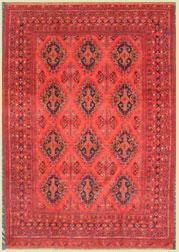 Warm red colours are usually derived from the plant madder. Blue comes from indigo. 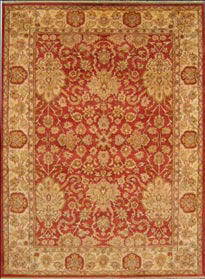 Sometimes crimson comes from insect dyes such as chineal. 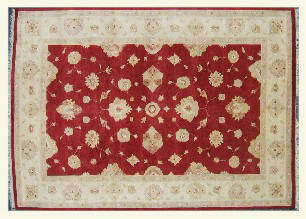 This indicates a date after c.1850 when cochineal was first imported to the East. Chemical (aniline) dyes. 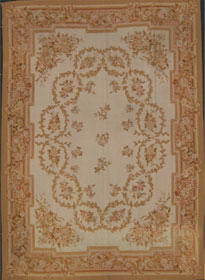 These were introduced c.1890. They tend to be harsher in tone, and are not colour-fast. Chromatic dyes. These were first used in the early 20th century. They can be difficult to distinguish from natural dyes as they’re colour-fast, but they lack the subtlety of natural dyes, and come in a wider colour range. 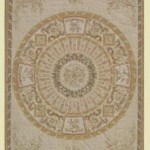 Carpet care Carpets can be washed with plain warm water or cold water and a mild detergent.